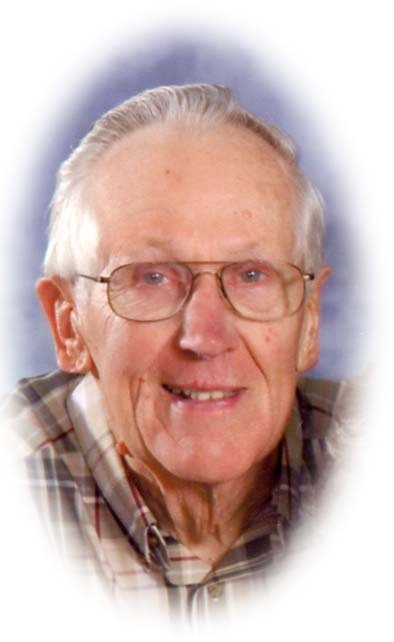 Roy Joe Klavine, 87, of Geneseo, passed away on Wednesday, February 6, 2019, at Good Samaritan Society, Geneseo Village. Funeral services will be held at 10:30 a.m. on Monday, February 11, 2019 at Grace United Methodist Church. Reverend Melva England will officiate. Burial will follow at Oakwood Cemetery. Visitation will be held on Sunday, February 10, 2019 from 2:00 – 4:00 p.m. at Vandemore Funeral Home & Crematory, Geneseo. Memorials may be directed to the Aisle of Flags, the Geneseo Historical Museum or to Grace United Methodist Church. Roy was born on August 28, 1931, the son of Roy and Lola (Coffin) Klavine, in Geneseo, IL. He graduated from Geneseo High School in 1949 and then attended Augustana College in Rock Island, IL. Roy married Jeanette Temple on March 24, 1954 in Erie, IL. Roy Joe owned Klavine Motor Company of Geneseo, which was founded by his father and now operated by his son, Daniel. He was a very talented mechanic and could fix or build anything. He was an avid Geneseo Green Machine supporter, an avid model train collector and loved displaying the trains for family and friends. Roy especially enjoyed attending his grandchildren’s events. He was a member of Grace United Methodist Church and a Geneseo Historical Society volunteer. Those left to cherish his memory include his loving wife, Jeanette; sons, Daniel of Geneseo, Jeffrey of Seattle, WA, daughter, Vicky (Bob) Wyffels of Geneseo, and sister, Marjorie Zimbelman of Lovell, WY, Roy has three grandchildren, Rachel (Tim Jung) Wyffels, Jacob Wyffels and Brandon Klavine. Roy was preceded in death by his parents, Roy and Lola, an infant sister and son, Randy Klavine.